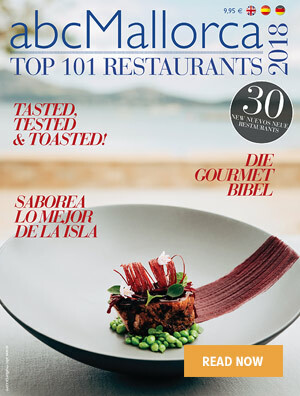 In our opinion, one of the best restaurants on Mallorca. Visit & you will see why! Many long-established family restaurants on Mallorca have changed little over the years. Bens d’Avall is one of the exceptions. It first opened in 1971, with Benet Vicens’s mother and grandmother in the kitchen. Today Benet is at the stoves and his talented 23-year-old chef son works with him. Father and son make a crack culinary team. Bens d’Avall is just 1,500 metres from the Deià to Sóller road, but its hideaway location makes it possible to disconnect from daily life and remind yourself why you are on Mallorca. The terrace – with its spectacular mountain-and-Med views – was completely renovated for the 2016 season. Owners Benet and his delightful wife and restaurant manager Catalina Cifre commissioned designer Biel Santos to create a more-relaxed ambience on the terrace. The starched white tablecloths have gone, and the new furniture complements the rural coastal setting. If you have the tasting menu, you’ll particularly appreciate the more comfortable chairs. A new long central wooden table seats up to 10 people. The terrace seems larger because Cati improved a previously neglected corner. It’s now an attractive chill-out dining area with some banquette seating, colourful cushions, and contemporary nautical-style lighting. Cati told us it was particularly popular after dark. During the day the whole terrace offers more shade from the sun. Bens d’Avall offers a choice of à la carte and two additional menus. 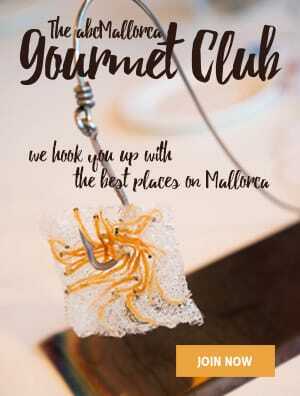 The cuisine is ‘new Mallorcan’ – healthy, natural, and creative. Benet and Jaume take inspiration from Mallorca’s seasonal produce for their dishes, which are a blend of tradition and innovation. The ‘petit menu’ offers three courses (with choice of starter and mains) plus an appetizer and petit fours. We had the tasting menu: nine delicious plates, plus a snack appetizer and petit fours conclusion. Our waiter explained every exquisitely plated dish, revealing his own culinary knowledge. It’s hard to pick highlights, as we appreciated every dish we ate. A combination of watermelon, Balearic seafood, and basil was delicious; foie gras with rose-flavoured lychees, peanuts, and a spiced brioche was memorable. Fish of the day – grouper – was plump, succulent, and accompanied by flavours of cucumber, melon, grapefruit, and beetroot gnocchi. The pre-dessert of grapes from Pollensa came with home-made sheep’s milk cheese and surprisingly delicious ‘sobrasada’ shortbread. Bens d’Avall is one of Mallorca’s loveliest restaurants – in respect of location, ambience, service, and cuisine – and prices reflect that. 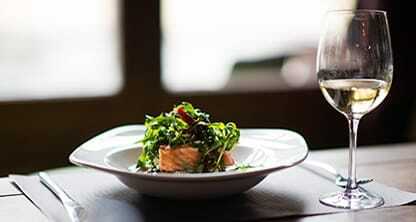 But for an unforgettable lunch or dinner, it is hard to beat. We love: The unforgettable sunsets here. 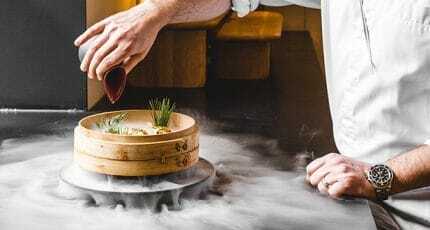 We hope you have found this article about the Island-inspired tasting menu at Bens D’Avall useful and that you have many memorable stays in Mallorca as a result of our recommendations.